Although many celebrity marriages seem to only last five minutes, there are a surprising number of celebrities whose marriages have lasted the test of time. From royalty to musicians and stars of the silver screen, some of the best known people in society have had impressively long-enduring relationships. Here, we take a look at how some well known pairings have celebrated their special days and what is involved in a celebrity anniversary celebration. While some celebrities go all-out to throw lavish celebrations to mark the occasion of their anniversary, others prefer an intimate celebration. Yet, however they choose to spend their special day, their achievement in staying happily married should be commemorated. Celebrity marriages don't often come much longer than this one! The UK's very own Queen and Prince Philip celebrate no less than 70 years of happy marriage in November 2017, however since the couple are now both in the 90s, the event will be a low key one. 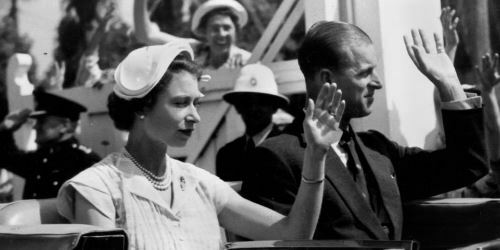 Having had large commemorative events to mark the occasions of their diamond and golden wedding anniversaries, their platinum anniversary will be marked by an intimate gathering of close family and friends. Rather than a huge, lavish public celebration, there will only be a small dinner party on the evening of the day itself, the 20th November, for the couple to enjoy the congratulations of those with whom they have the closest relationships. 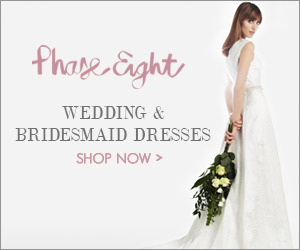 This is a far cry from their other milestone anniversaries over the years, which were characterized by enormous public celebrations including thanksgiving services at Westminster Abbey and many public appearances. Despite the low key nature of the celebration, the couple will still be receiving one special gift that will take them back to their wedding day so many years ago. The Cordon Bleu cooking school in London have recreated the royal pair's wedding cake which stands at 2 metres in height and weighs in at over 200 kg. They will be presenting the cake as a platinum anniversary gift to the Queen on her special day. From one monarch to a future monarch, Prince William and his beautiful bride Kate Middleton celebrated 6 years of marriage in April 2017. Despite their public status, they chose to commemorate the occasion privately rather than holding any kind of public event. However, in true celebrity style, the couple took to Instagram to mark the special day, posting a photograph of the couple on their wedding day along with a message thanking the public for their congratulations and good wishes. Over the last 6 years, the couple have celebrated their anniversary in many different ways. Their first anniversary was spent celebrating a friend's wedding in a pub before going to Anglesey where Kate was rumoured to have cooked fish in parchment paper to commemorate the symbol connected with the first year of marriage. Their second anniversary was spent apart, although the couple had celebrated a couple of days early with a special dinner in the capital, whereas their fourth anniversary was marked with a swim in the pool at Buckingham Palace as the royal couple awaited the arrival of Princess Charlotte. 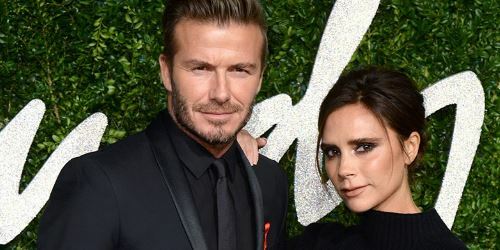 From actual royalty to celebrity royalty, Victoria and David Beckham celebrated 18 years of marital bliss in July 2017. Just like William and Kate, the couple took to social media to declare their love for each other and to show the world that they are still in love, despite the high pressured celebrity environment in which they live. Posting throwback pictures from the early days of their relationship in the 1990s, the couple wrote romantic, heartfelt messages to each other which resulted in a wave of fans offering their congratulations. One of Victoria's photos also showed the breakfast in bed, complete with balloons and flowers that their children had presented them with on their special morning. 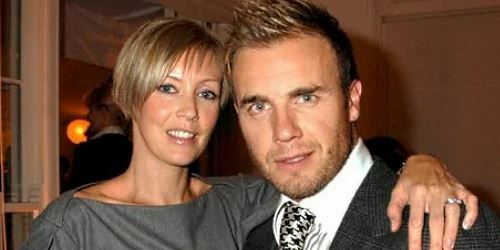 Back in 2013, former Take That star and X Factor judge Gary Barlow and his wife Dawn celebrated their 10th wedding anniversary in style at the luxurious Mandarin Oriental Hotel in London. Attended by a bevy of glamorous guests, some of the most notable names included Cheryl Cole with her footballer husband Ashley, Kimberley Walsh, Denise Van Outen, Fearne Cotton, Alesha Dixon and Ronan Keating together with two of Gary's band mates, Howard Donald and Mark Owen. Unfortunately, Robbie Williams was conspicuous in his absence. 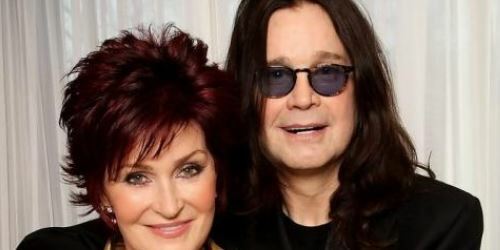 One of the most unlikely to survive celebrity marriages, that of Sharon and Ozzy Osbourne reached 35 years this July and the couple seem as devoted to each other as ever. X Factor judge Sharon paid tribute to her rock star husband on Instagram, posting photos from their wedding day. Although the couple briefly separated a couple of years ago, they are now back together and going strong – a sign that even the most unlikely marriages can hold together through thick and thin. 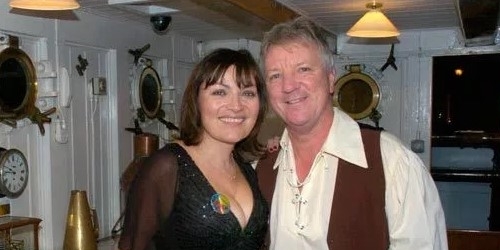 Star of GMTV Lorraine Kelly and her husband Steve Smith celebrated their 25th wedding anniversary in a truly extraordinary way this year by taking a dream trip to Antarctica. Lorraine has always been a lifetime admirer of Sir Ernest Shackleton, and this special trip was inspired by his own explorations. The couple found time to raise a toast to each other as well as toasting the famous late explorer.